The Frenchman defeated the Spaniard by a double 6-4 and then had a fond memory of the tragedy that led to the cathedral fire. Pierre-Hugues Herbert had two reasons to go for the win at the Masters 1000 in Monte Carlo before Fernando Verdasco in the first round. First, the purely sporting. Second, his desire as a French to have a memory of the tragedy of Notre Dame. 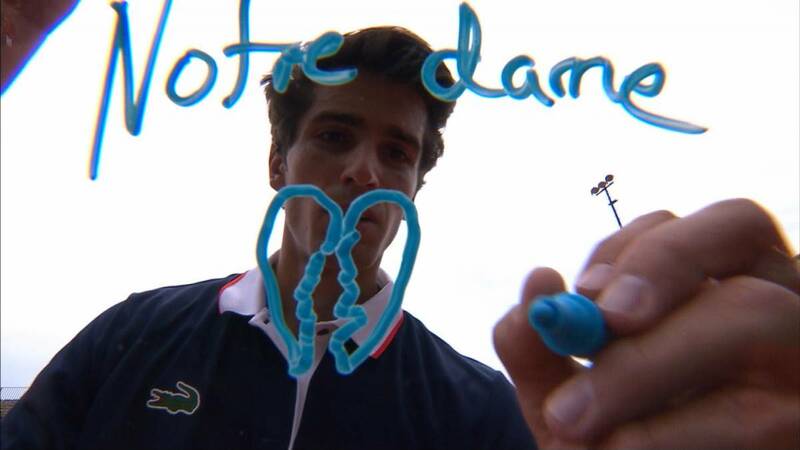 The number 49 in the world defeated the Spanish by a doble 6-4 in 1h: 32 and then signed in the camera with a heart and the legend 'Notre Dame'. The fire has impacted all players, especially the Gauls, and Rafa Nadal, eleven times champion at Roland Garros, also had a loving gesture on social networks.